The joint city car venture between PSA and Toyota is set to yield a whole basket of fruit at the Geneva Motor Show this year. That's where Citroën will unveil the new C1, sister-brand Peugeot will present its 108 and Toyota will reveal the latest Aygo. Each will be available in numerous versions, but just in case that's still not enough variations on the same theme, Citroën will also be on hand with the concept version you see here - following a similar formula to what Volkswagen did with the debut of the Up! in its many concept and production forms. 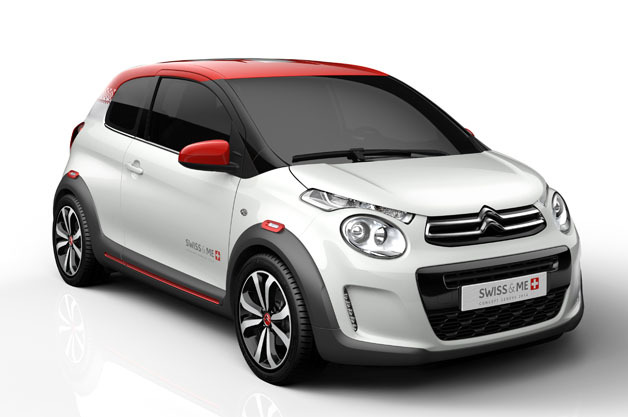 Citro?«n beefs up new C1 with Swiss & Me concept originally appeared on Autoblog on Sat, 01 Mar 2014 15:05:00 EST. Please see our terms for use of feeds. 0 Which car should win the 2015 World Green Car of the Year?